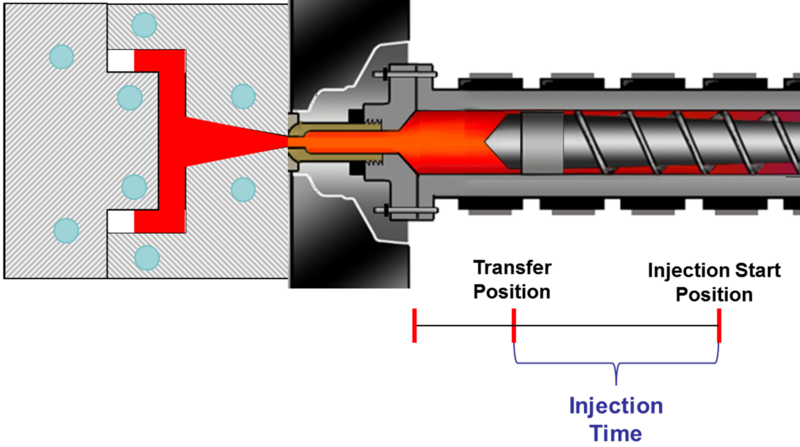 Injection Time - Beaumont Technologies, Inc.
After the melt has been plasticated in the barrel, the injection time is the time it takes the screw to move from the injection start position to the transfer position. At the transfer position (commonly referred to as the VP (Velocity-Pressure) position , the screw movement is transferred from velocity to pressure control . This is normally considered the cavity fill time. However the processor has the ability to switch from velocity to pressure control at any time prior to cavity fill. It is common practice that VP switchover occurs when the cavity is about 95% full.